Richard Fry, convenor of the Lee Falk Memorial Bengali Explorer’s Club (Australia), recently announced that Jim Shepherd, the Australian publisher of The Phantom comic magazine, died shortly after collapsing at his Sydney home during the evening of Monday 15 April 2013. This is without doubt a very sad day indeed for “phans” of The Phantom, in Australia and around the world. Jim Shepherd was best known to thousands of Australian readers as the publisher and managing director of Frew Publications (Sydney, Australia), which has published The Phantom comic magazine since September 1948 – making it the world’s longest-running series of Phantom comics, and one of the world’s oldest, continually published comic magazines. But Jim had enjoyed a diverse and exciting career as a journalist, broadcaster and author, long before he met “The Ghost Who Walks”. Born 21 August 1933, Jim became a well-known and respected sports commentator, firstly in Sydney’s newspaper circles, before branching out into radio, and later became the Sporting Director for Sydney’s Channel 0 (later Channel 10) television station during 1964-1970. As a journalist, Jim covered a wide variety of sports, including rugby league, boxing, soccer, athletics, golf, tennis and cycling. His encyclopaedic knowledge of sports and sporting stars would serve him well for his next career. In 1974, he compiled and wrote The Australian Sporting Almanac (Hamlyn, 1974), the first of many successful sporting reference titles he would produce on behalf of other publishers, as well as for his own book imprint, Sportsbook Publishing Co. These included The Encyclopedia of Australian Sport (Rigby, 1979), Rothman’s Australian Rugby Yearbook (Sportsbook, 1983) Great Moments in Australian Sport (Angus & Robertson, 1987) and Big Rev Kev (Lansdowne, 1983), the autobiography of Australian racing driver Kevin Bartlett, co-authored with Jim. Motor racing remained a lifelong passion for Jim, who began racing stock cars on the local speedway dirt track circuit, before progressing to Formula Two (2000cc) road racing events. Such was Jim’s enthusiasm for the sport that he wrote two books on the subject, A History of Australian Motor Sport (1980, Sportsbook) and A History of Australian Speedway (Frew Publications, 2003) – indeed, Jim later delightedly told me that his Speedway book was a near-total sell out! Jim’s involvement with The Phantom dates back to 1987, when Frew Publications’ surviving founders, Ron Forsyth and Lawford “Jim” Richardson, approached him for advice on how they could rejuvenate their company’s sole remaining comic-book title. Jim came on board with The Phantom No.876 (“Old Baldy”, 1987) and steadily undertook incremental changes designed to improve the magazine, such as reintroducing the old “Frew” logo on the front cover of the comic, along with the inclusion of the “Phantom Forum” letters page (No.917, 1988). But arguably his greatest achievement was to commence reprinting unedited and uncensored versions of classic Lee Falk Phantom stories from the 1930s and 1940s – many of which had been ruthlessly edited by Frew Publications in the past – commencing with the landmark publication of “The Phantom Goes to War” (No.910A, 1988). This was, according to Bryan Shedden (creator of The Deep Woods fan website), the beginning of the “Frew Renaissance”. Jim’s accomplishments at Frew Publications are well known to many “phans”, so I won’t reiterate them here. (However, for further details about Jim’s life and career, you may wish to read Steffen Hoppe’s interview with Jim on Fantomet.org; Joe Douglas’s interview with Jim at ChronicleChamber.com; and my own interview with Jim, also published on ChronicleChamber.com). That Jim was so willing to give up his time to speak with “phans” about The Phantom says much about the man’s generosity and enthusiasm for his work. I first interviewed Jim about Frew Publications and The Phantom back in 2001 for a piece originally intended for the Australian comics fanzine, Read Me!, but was later published online at OzComics (The interview didn’t survive the site’s revamp as a Facebook-based forum, and was eventually republished in 2007 at ChronicleChamber.com). Over the years, we remained in contact, particularly when I had occasion to write about Frew Publications’ earlier comic-book series (such as The Phantom Ranger) for my ‘Comics Down Under’ column, then appearing in Collectormania magazine (Some of these columns have since been reprinted online at my other blog, Comics Down Under). Jim always took the time to answer my (no doubt tiresome!) requests for information as best he could, based on whatever surviving information was available in Frew’s publishing archives, or from recalling his own conversations with the late Ron Forsyth. Jim even took the trouble to reprint one of my letters, concerning the origins of The Phantom comic strip, as a mini-article in The Phantom (“Historical Look at Lee Falk and The Phantom” – The Phantom, No.1445, 2006). We also shared an interest in Australian aviation history, which we discussed on several occasions. 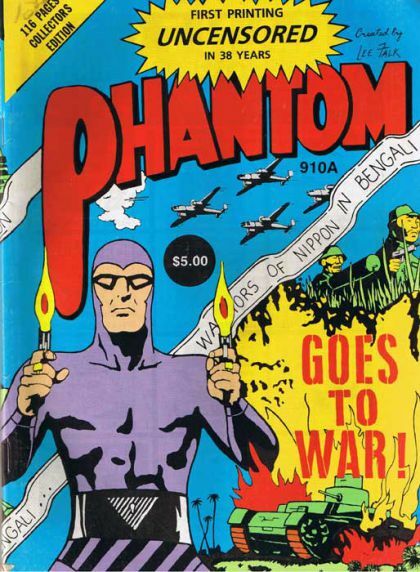 Little did he or I know at the time that my own interest in The Phantom would eventually lead me to write my PhD thesis about The Phantom comic book in Australia, India and Sweden. And it was for this research project that I last met Jim at Frew’s Sydney office on Tuesday, 10 July, 2012. He was, as always, sitting behind his cluttered desk – the true sign of a productive person, I’ve always said! – in his dark-panelled office, adorned with framed Phantom film posters and original artwork, and facing a display case packed with fascinating Phantom merchandise. Once again, over the course of a 2-hour interview, Jim shared with me his insights and opinions about The Phantom, and why this character continues to fascinate Australian and Swedish audiences to this day. It is my hope that I’ll be able to distill and share some of Jim’s insights when I submit my PhD thesis for examination later this year, and in any scholarly publications arising from my research. I hope it will be a fitting enough tribute to Jim’s dedication to publishing The Phantom for over a quarter of a century. I’ll try and post further news about Jim’s passing as further details become available. Nonetheless, I’m sure that Phantom “phans” throughout Australia, and around the world, would like to join me now in extending my sincere condolences to Jim’s wife, Judith Shepherd (Senior Editor, Frew Publications), and their extended family at this no doubt difficult time. 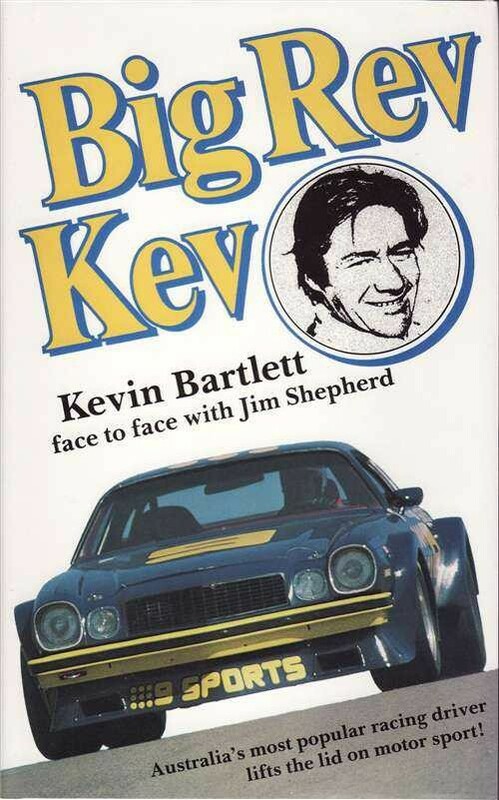 (Photo of Jim Shepherd courtesy of The Deep Woods; image of Big Rev Kev book cover courtesy of Automoto Bookshop; image of The Phantom No.910A cover courtesy of Collectoroz.com Connect). This entry was posted in Uncategorized and tagged April 2013, Frew Publications, Jim Shepherd, obituary, The Phantom, tribute by kevpat. Bookmark the permalink.